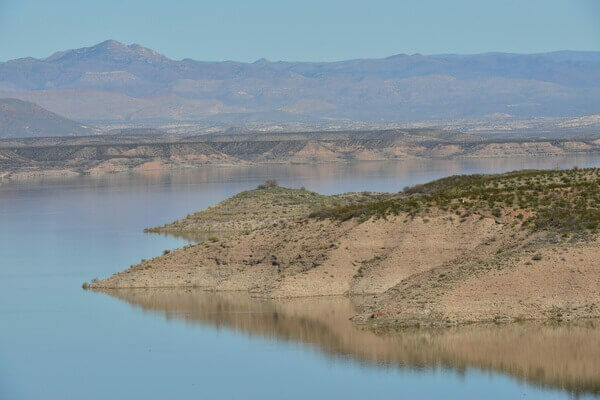 Operation Dry Water was once again carried out on Arizona’s bodies of water as officers from numerous agencies were on the lookout for people who were operating a boat or watercraft while under the influence of alcohol and/or drugs. Operation Dry Water is an ongoing national awareness and enforcement campaign, with heightened efforts taking place in late June and early July. The Arizona Game and Fish Department (AZGFD) has been participating in Operation Dry Water since the initiative began in 2009. AZGFD partners with local agencies on the effort, which is done in partnership with the National Association of State Boating Law Administrators and the U.S. Coast Guard. Alcohol is one of the top factors contributing to recreational boater deaths. According to the U.S. Coast Guard, alcohol was a leading factor in 15 percent of fatal boating accidents in 2016. Of the five deaths in recreational boating accidents in Arizona last year, alcohol use was a contributing factor in three of them. Although the legal limit for operating a boat in Arizona is .08 blood-alcohol content, an operator is in violation of the law and may be prosecuted for operating a watercraft while impaired to the slightest degree by alcohol and/or drugs. Nationwide last year, 367 arrests were made for boating under the influence and officers made contact with more than 130,000 boaters during the three-day period of heightened enforcement, according to Operation Dry Water. Eight of those arrests were made June 25, 2016, in Arizona, with officers contacting 487 boaters aboard 128 vessels. While the main focus is those operating a boat while under the influence of alcohol and/or drugs, officers may also give warnings and write citations for other issues such as operation, fire extinguisher and life jacket violations. State law requires that anyone 12 and under must wear a life jacket at all times when the vessel is underway and there should be one life jacket aboard for every passenger. In addition, a throwable flotation device — usually a cushion with handles or a ring buoy — is required for all watercraft longer than 16 feet, except for canoes and kayaks. For more information on boating safety or to sign up for a boating education course, visit www.azgfd.com/Education/Boating/ and see page 3 of AZBW’s August 2017 issue.